Fàilte gu Ceumannan 2 air-loidhne! 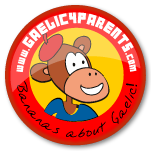 lots of different materials to be found on the site which will hopefully, help you learn Gaelic and make it even more fun! You'll find video clips, listening extracts and songs, a talking dictionary and different worksheets to help you remember new words and become more fluent. You should try to use Gaelic in all sorts of different situations – not just to answer the teacher when he/she asks you a question. You'll soon be able to chat to your friends and to pupils in other schools – in Gaelic, of course, and you can post any video clips of plays and songs you do in class. Get to grips with homework with the help of the online dictionary and the extra worksheets. Why not shock your teacher by doing a crossword or an extra worksheet in your spare time? Tha obair mhòr romhad! Why don't you create your own videos or recordings like those mentioned? If you don't have equipment, you can create videos like the one below with Animoto (free). You just need some of your own photos*. You can also have fun making your own little Gaelic speaking avatar using Voki (free) or Crazytalk - if you do so, use some phrases you learned with Ceumannan and email them to us. If you don't have the teicneòlas, you can make a comic strip with Comic Life which your teacher can get FREE by emailing the Ceumannan crew. Details are on the Oisean an tidseir page. *Remember to ask permission if you use pictures of your classmates.